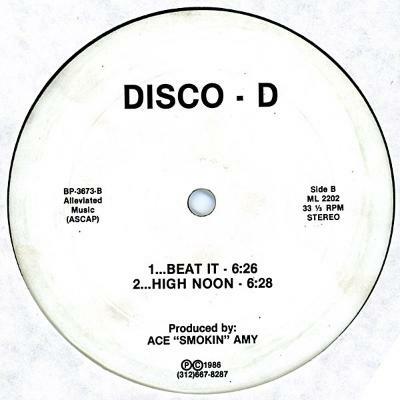 Larry Heard's got a gazillion aliases he works under, but the Disco - D and Gherkin aliases were that really raw, minimal Chicago house made on super limited equipment. His records have always been a big part of my DJ set. Just that way that everything syncs together. When sequencers are triggering synths, and synths are triggering other synths and drum machines… you get a whole different dynamic of working. Each piece has got its own colouring. It's totally different to the way I'd normally worked where I'd be like, "Right I need a drum beat", so I'd sample an 808 kick and put that in. All these records that my record box has been full of for years – other labels, like Dixon Avenue Basement Jams, it was these raw takes – that was what I wanted my records to sound like so I needed to get my studio running live. Everything in the studio is now analogue: three sequencers, a Moog, a 303, a 202, a 101, a 909, a Korg MS-20, a Roland SH-09 and a Juno. Everything is running completely synced. The computer just goes on for recording. We can spend about four days getting the jam together, but then we can put it down in one take. You get it set up right and you can do it live, but you're praying that you don't knock a power lead and lose it all.